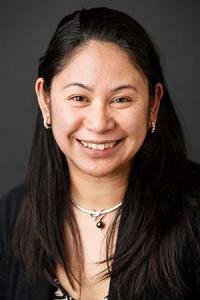 Home › Faculty Directory › Gomez, Rowena, Ph.D.
Dr. Rowena Gomez's research and clinical background is in aging and neuropsychology. She has also applied these areas to the study of affective disorders, in particular psychotic major depression. She is also interested in the diagnosis and treatment of dementia, and older adults' ability to cope with age-related changes. Dr. Gomez completed her undergraduate work at University of California at Berkeley, majoring in psychology and social welfare. Her research there focused on PET studies of depression and dementia. Her graduate training was at Washington University at St. Louis in the tracks of Aging and Neuropsychology. She then went to Palo Alto Veteran's Health Care System for her clinical neuropsychology internship. In 2002, she became a postdoctoral fellow at Stanford University's Department of Psychiatry and Behavioral Sciences. There she applied her background of aging and neurospychology to depressive disorders. In 2004, she received a Young Investigator Award Grant by the National Alliance of Research for Schizophrenia and Depression to examine the cognitive, hormonal, and (brain) structural differences in Psychotic Major Depression versus Nonpsychotic Major Depression. In 2003, she began teaching at PAU as an instructor for the statistics courses and later research methods. In April 2005, she was hired full-time as an assistant professor at PGSP.